A few minutes northwest of Columbus, Ohio, past the suburban subdivisions and sprawling farmland, sits Honda’s first and largest auto plant in North America. There, the company will soon break ground on one of the single biggest initiatives the car maker is taking to reduce its overall environmental impact. The Marysville Auto Plant (MAP) will be renovated to add a $210 million painting facility for select Acura models, so that a new paint process can be implemented to cut CO2 emissions by 18 percent, on top of saving untold quantities of water and waste. With this investment, Honda will move closer to its global goals for reducing GHG emissions up to 90 percent based on per unit sales. Each year, over 440,000 Acura and Honda vehicles come out of MAP, making it the busiest Honda factory on the continent. In fact, over 12 million cars have rolled out of the MAP facility since it opened in 1982. Throughout the factory, green technologies have been implemented to help lessen the environmental impact of producing affordable forms of transportation. The new paint facility represents an enormous step forward in reducing energy and resource usage, while simultaneously producing a higher quality product. The 300,000-square-foot facility, which breaks ground this December, will have the capacity to churn out 229,000 paint jobs annually. 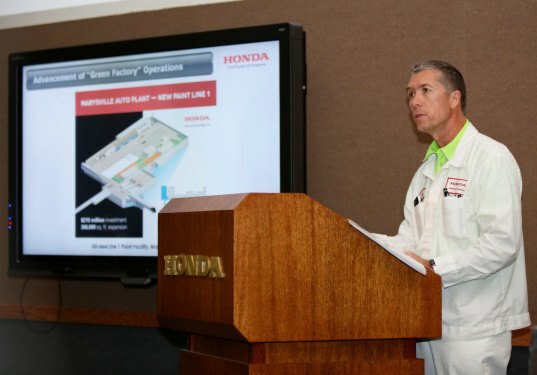 At Honda, finding ways to make drastic cuts to energy usage isn’t just a good idea, it is an imperative. The company’s environmental goals are handed down from its Japan headquarters, where Honda leaders from around the globe meet to develop global initiatives that every manufacturing facility can aim for. The methods for achieving those goals, though, come largely from the employees who do the work, and this is also true for the drive to develop a cleaner, more energy-efficient painting process. The new process is not simply a tweak on the current procedure, although some steps of the process will essentially be the same. The biggest impact of the new paint line will be the elimination of water usage. After the new paint facility opens, which is planned for December 2017, select Acura models produced at MAP will be painted using the new process, giving them an enhanced appearance as well as an eco boost. The paint job resulting from the new facility will emit 66 percent lower Volatile Organic Compounds (VOCs) due to the switch to a water-based primer. The current paint process uses water to capture errant paint particles, resulting in 255 tons of paint sludge each year that requires careful transport and disposal. The new facility will employ dry-booth technology, which uses limestone dust instead of water to capture the airborne paint particles. This means the new process will use zero water, translating into an annual savings of over 2 million gallons. Although there is certainly no drought happening in Ohio, Honda recognizes the importance of reducing resource usage on a larger scale, and the company is putting its money where its mouth is in hopes of reducing the footprint created by all those four-wheeled vehicles. 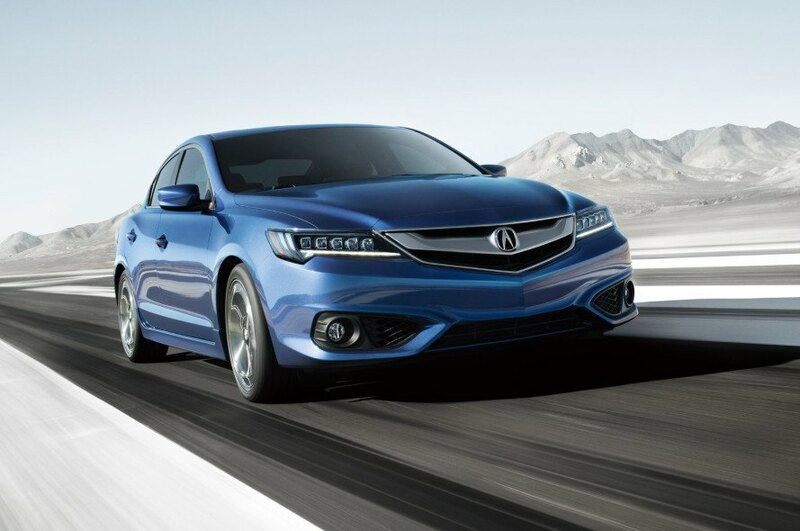 The Acura ILX is one of the models that will be treated with the new paint process. Plant manager Rob May announces the project.